A Leap forward for the Cooperative movement - jason wiener | p.c. 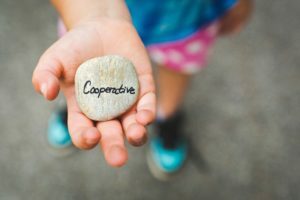 As a cooperative attorney nothing is more exciting than stumbling on the odd article sharing a cooperative success story. Some days though, it’s more than the random, obscure news story, some days it’s an announcement that makes it feel like the movement is going mainstream. Today is one of those days. Today Evergreen Business Services (EBS) announced the launch of the Fund for Employee Ownership. The Fund was formed to “acquire businesses in Northeast Ohio to preserve the quality jobs they provide by converting them to employee ownership.” EBS and the Fund are part of Evergreen Cooperatives, a network of companies focused on employee ownership as a catalyst for community wealth building. This group has already done amazing work and the Fund will utilize investor capital to scale the movement. As a firm, we are passionate about scaling the cooperative movement and this announcement is certainly a step in that direction. Congratulations to everyone who worked to make this a reality – we look forward to following the Fund’s progress! Last Legal Cafe of 2018 – it’s free!